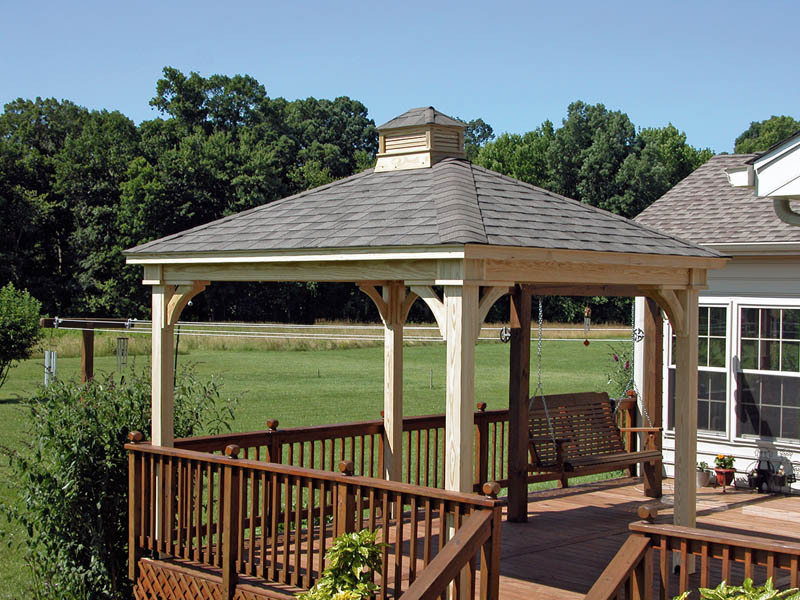 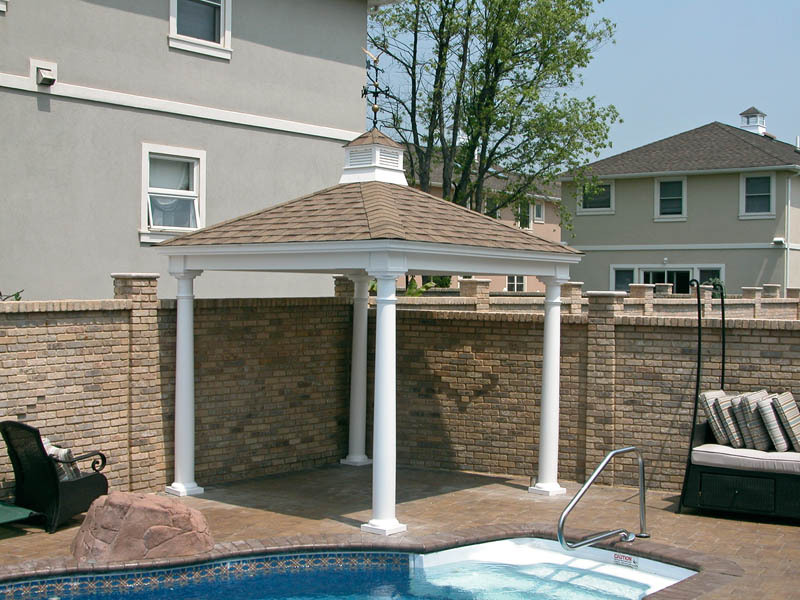 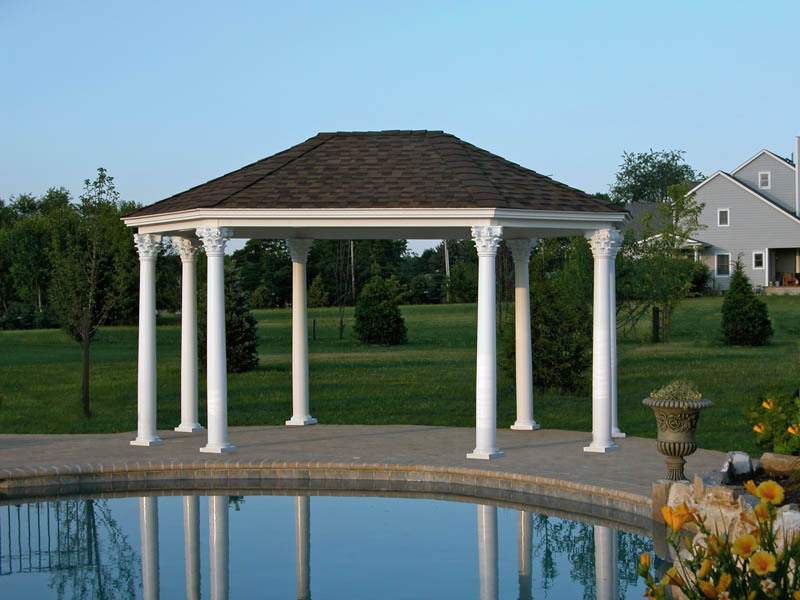 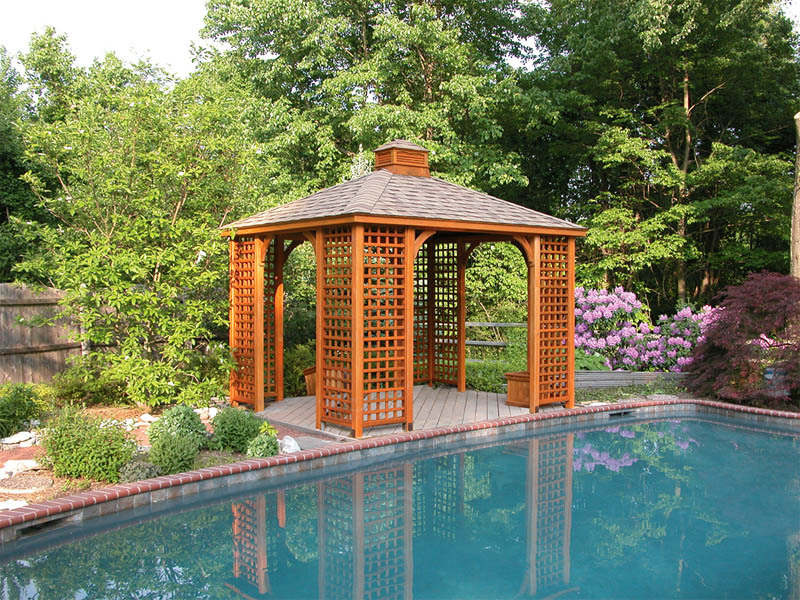 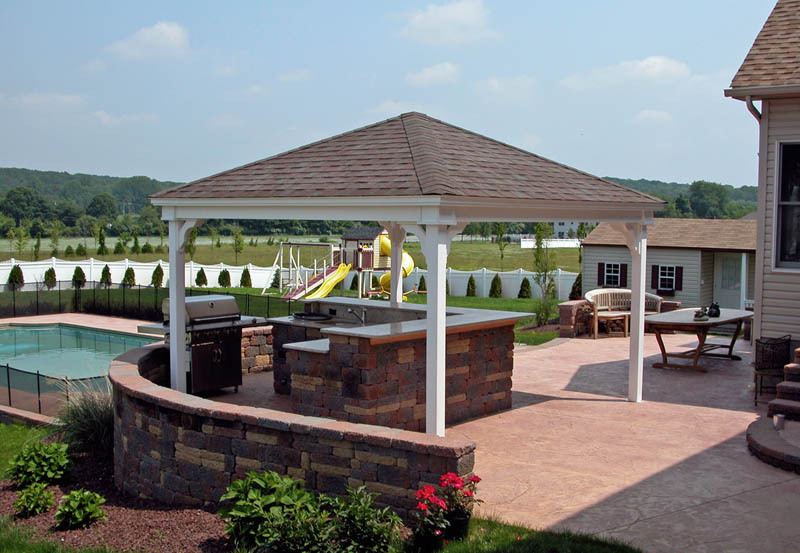 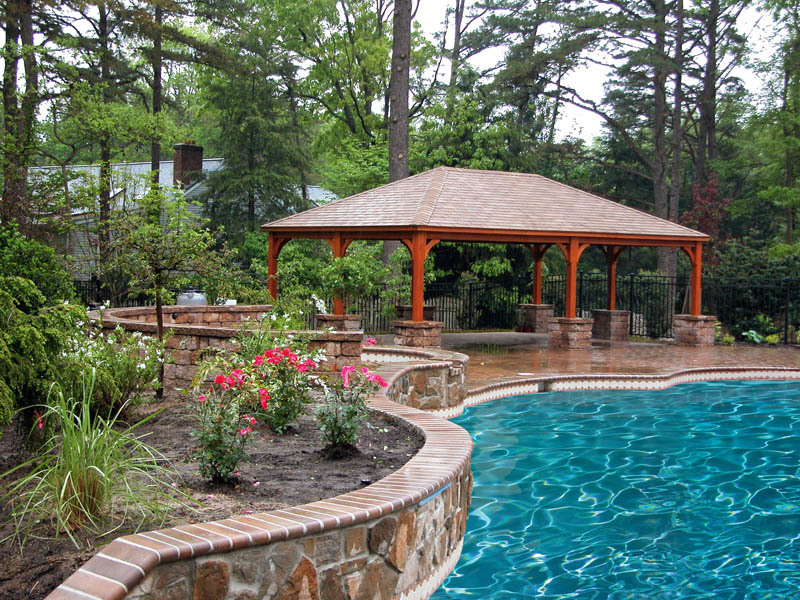 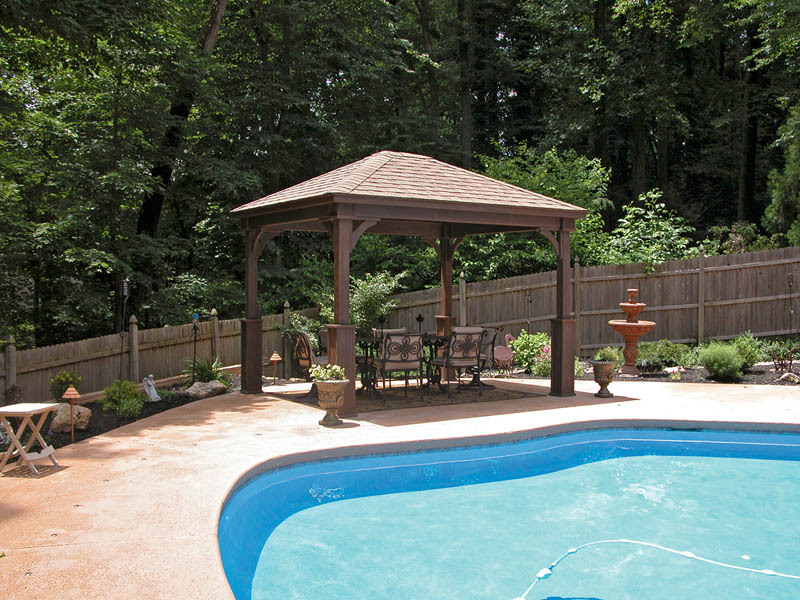 Add a pavilion to your backyard for a shady spot to sit in the hot summertime. 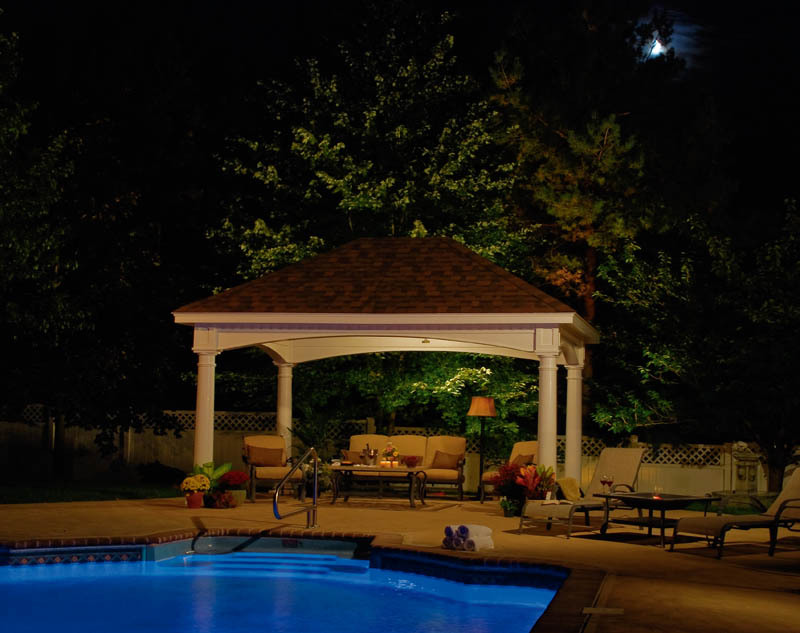 They make great places for a party or just decoration next to your pool. 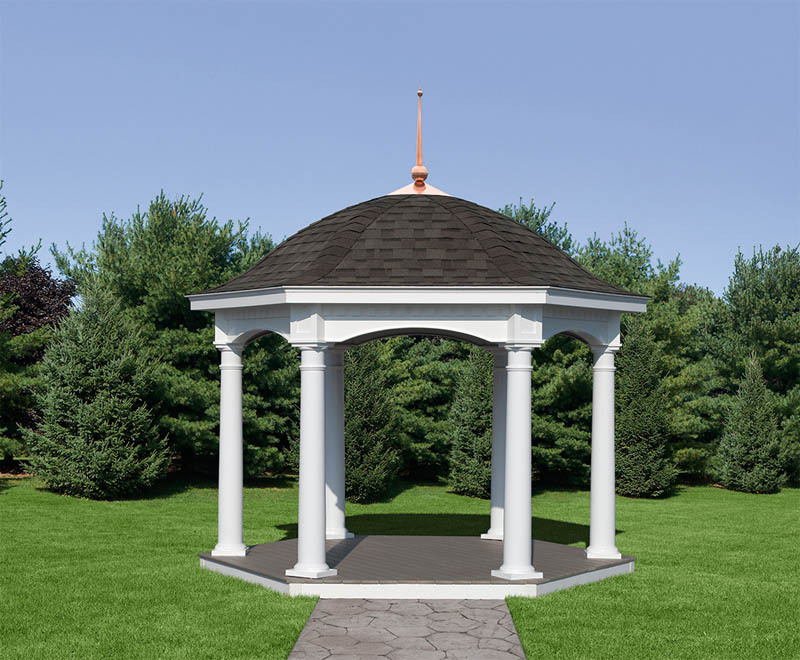 View our manufacture's website for a full line of wooden or vinyl pavilions.